Detail from St. Martha's House annual report. 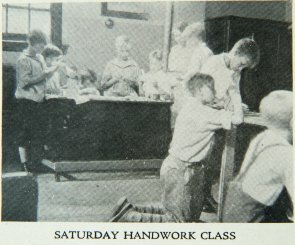 Caption: "Saturday Handwork Class." Boys working on crafts.